In 2018-19 we are setting out a challenge for our groups to raise the bar and build on the quality of what we offer as an organisation. There is already so much we can be proud of, but can we do more? 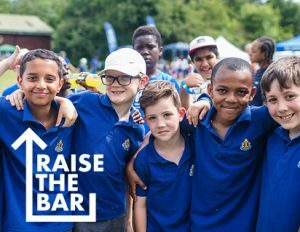 'Raise the Bar' is the title of our new campaign and is set around 10 challenges for each group (Company), focussed on raising the quality of experience for children and young people. This challenge is all about asking the question 'How can we do better?'. It's about taking time to consider our approach to specific areas of our work, looking at what needs to change and setting targets to strive for. Check out #RaisetheBarBB for stories from our groups on how they are getting on!